educating students, cultivating Christ-centered lives. How do we equip your student to thrive? Raising children is a sacred and challenging task. Berks Christian comes alongside families, guiding and equipping students to thrive. 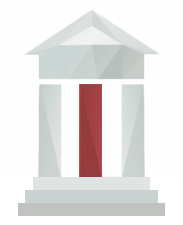 Our school is built on three pillars that create the foundation for your student's success. Our fully accredited academic program develops students who are trained to think deeply and are prepared and qualified to engage in all post-graduation paths. Our students grow in maturity because they are given more than facts - they are given a team of teacher-mentors invested in guiding them through every step. Our students are motivated to learn and work hard as they open their lives to those around them through integrated service to each other and the community. Thank you @cairnu @cairnenactus for pouring into our 9th-12th graders this morning so they are better prepared for their futures! Pretzel Wednesday resumes tomorrow! Bring $1 for a delicious pretzel and to support the Junior class! Happy Easter to all in our BCS community! May today bring many moments of gratefulness for our salvation in Jesus through His death on the cross. Congratulations to Marian, Savannah, and Kristin on being inducted to the BCS National Honor Society chapter! Thank you to Dr. Paige Brookins for speaking and current members Alicia and Emily for participating in the ceremony. 1st grade reviewing what they learned in music class! Mr. Smither leading in a time of reflection before ROARS group.